Trump’s trip to Mexico was not only unusual for not including his traveling press corps, but also because it came against the advice of US diplomats. The campaign’s decision to travel to a foreign country — one rife with security risks for a candidate who has stoked tensions with his rhetoric on Mexican immigrants — without reporters following close behind marks an unprecedented moment in the coverage of major party presidential nominees. But Donald Trump is an unconventional individual, who handles an unconventional speech, behaves unconventionally and acts in unconventional manners most of the time. An official at the Mexico City international airport says a private plane carrying Republican candidate Donald Trump has touched down at the airport. 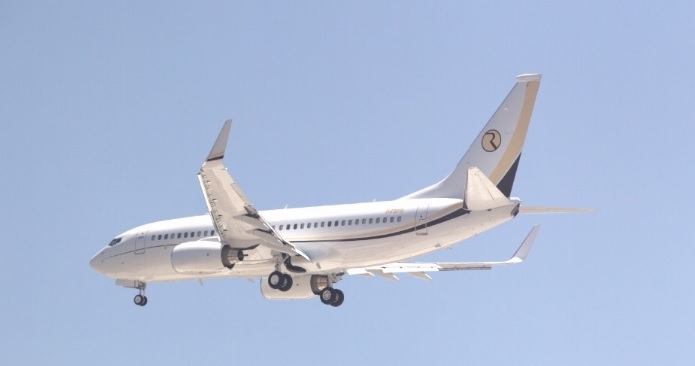 The official was not authorized to be quoted by name, nor did he provide the plane’s registry number, or say how Trump would reach the official residence of President Enrique Pena Nieto, where the meeting with the Mexican leader is to take place. Pena Nieto’s office has confirmed there will be a meeting and subsequent press statement at the residence, which is across town from the airport. Trump appeared likely to fly to the residence by helicopter, rather than cross town in any kind of motorcade. 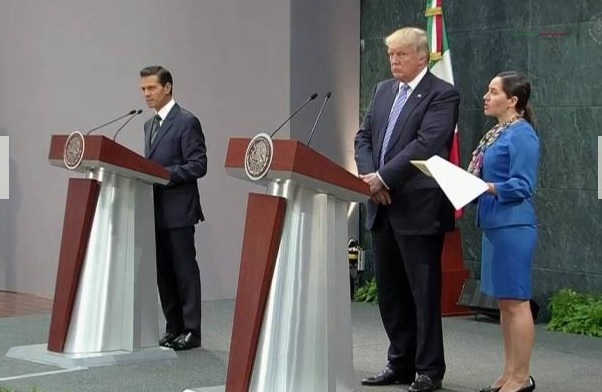 Mexican President Enrique Peña Nieto says that he and Donald Trump may not agree on everything, but that their meeting underscores their countries’ shared interests. He says in Spanish that the next president “will find in Mexico and its government” a neighbor who “wants to work constructively to strengthen even more” the relationship between their nations. Mexican President Enrique Peña Nieto is challenging Republican presidential nominee Donald Trump’s characterization of the situation on the U.S.-Mexican border. Peña Nieto notes that the number of immigrants crossing the border illegally is down significantly “even to the point of being negative to a net effect.” He spoke at a joint appearance Wednesday at the president’s official residence. While Peña Nieto says the countries have shared challenges, he says that there exists “an incomplete vision of the border issues,” with weapons and cash flowing south from the U.S. and fueling violence. He’s also stressing U.S. exports to Mexico and the number of jobs reliant on the countries’ trade relationship. 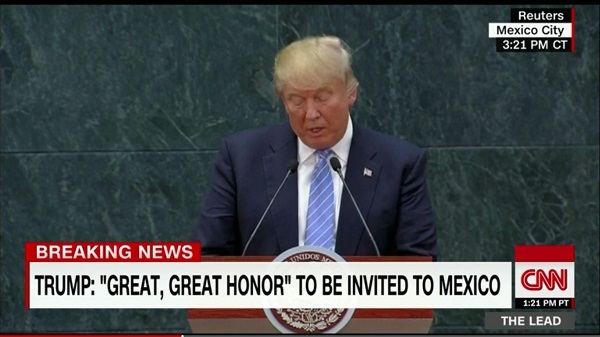 Republican Donald Trump is calling his surprise visit to Mexico City Wednesday a ‘great honor.’ And he says the nations share a common interest in keeping the hemisphere safe and prosperous. The Republican presidential nominee said after meeting with President Enrique Peña Nieto that the pair had a substantive, direct and constructive exchange of ideas at the president’s official residence in Mexico City. This is Trump’s first foreign visit as his party’s nominee. Mexican President Enrique Peña Nieto says the Mexican people have been hurt by Donald Trump’s past comments that painted them in a negative light. Peña Nieto told reporters following a closed-door meeting that “misinterpretation or assertions” had negatively impacted perceptions of Trump’s candidacy. He added that, the “Mexican people have been hurt by the comments that had been made.” But he said he’s sure that Trump is genuinely interested in building a relationship that will benefit both countries. 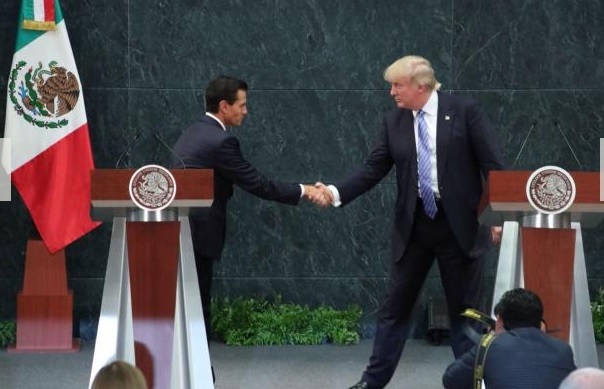 Peña Nieto spoke in Spanish throughout the whole press conference and Trump was assigned an interpreter. Trump’s trip to Mexico gave many U.S. voters their first glimpse of how he carries himself in a high-level meeting with a foreign leader.